The attorneys at KALIS, KLEIMAN & WOLFE have extensive experience handling commercial and residential real estate re-financing matters throughout Florida. We regularly represent owners, developers, investors, lenders and borrowers, as well. 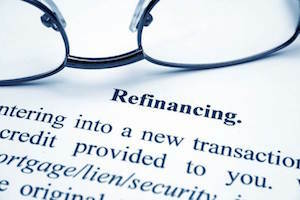 There are many reasons why homeowners, businesses and developers refinance their properties. These vary from the desire to lower their interest rates, to reduce the term of their loan, to reduce their monthly payment, to take cash out of their home’s equity for improvement or debt consolidation, to change their loan type (adjustable rate mortgages, fixed rate loans, conventional mortgages), and to managing real estate assets as part of an active financial plan. We are well-versed in the laws related to real estate refinance transactions in the state of Florida and can articulate the legal complexities in plain language so that you fully understand what your options are and be empowered to make timely, well-informed choices. If you need help with a real estate refinance transaction or dispute, contact our real estate transaction lawyers for knowledgeable and experienced legal counsel. We welcome your inquiries.